Janko: Can someone destroy this sign? 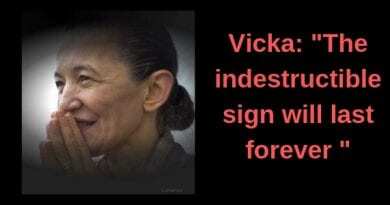 Vicka: Nobody can destroy it. 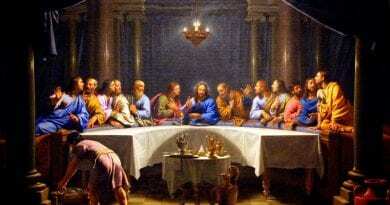 Vicka: Our Lady told us. Janko: Do you know exactly what this sign will look like? Janko: Do you know when Our Lady will show it to us? Vicka: I know this too. … can not do anything about it. My Father, whoever does not believe without this will not even believe. then. But I also tell you this: woe to those who wait for the Sign to be converted! I seem to have told you once: that many will come, they may bow before the Sign, but in spite of everything they will not believe. Be happy not to be among them. Vicka: All right ! Try to think: then they attacked us from all sides: newspapers, slander, provocations of all kinds … And we could not say anything… As for the Sign, I’ve already talked to you enough. Excuse me, but about this you also fed up with your questions. What I told you was never enough for you. Janko: You’re right; but what can I do if many are interested, and am I too, and want to know so much about this? Vicka: All right. You ask me and I will answer you what I know. Janko: I know; I remember this. But now tell me something about this Sign. Vicka: I can tell you, but you already know everything you can know about it. Once you almost fooled me, but Our Lady did not allow it. Janko: How did I fool you? Vicka: Nothing, forget it. Go on. Janko: Tell me, please, something about the Sign. Vicka: I already told you that you know everything you can know. Janko: Vicka, I see I’ve bothered you. Where will the Madonna leave this sign? Vicka: In Podbrdo, on the spot of the first apparitions. Janko: Where will this sign be? In heaven or on earth? Janko: Will it appear, suddenly or suddenly? Vicka: All of a sudden. Janko: Can anyone see it? Vicka: Yes, anyone will come here. Janko: Will this Sign be a passenger or a permanent one? Vicka: Go ahead if you still have something to ask. Vicka: I know this too. Janko: Do all the other seers know this too? Vicka: I do not know this, but I think we still do not know it all. Janko: Maria told me she does not know it yet. Vicka: Here, you see it! Janko: And little Jakov? He did not want to answer this question. Vicka: I think he knows it, but I’m not sure. Janko: I have not asked you yet if this Sign is a special secret or not. Vicka: Yes, it’s a special secret. But at the same time it is part of the ten secrets. Vicka: Of course I’m sure! Janko: It’s fine. But why does Our Lady leave this Sign here? Vicka: To show the people that she is present here among us. Janko: All right. Tell me, if you believe: I will come to see this Sign? Vicka: Go ahead. Once I told you, a long time ago. That’s enough for now. Janko: Vicka, I would like to ask you one more thing, but you’re too hard and brisk, so I’m scared. Vicka: If you’re scared, then leave it alone. Vicka: I do not seem to be so bad. Please ask. Janko: That’s good. In your opinion, what would happen to any of you, if you were to show the sign’s secret? Vicka: I do not even think about it, because I know this can not happen. then the writing should be closed and sealed in front of you, and kept until the Sign appears. Janko: But you did not accept. Because? Not even this is clear to me. Vicka: I can not do anything about it. 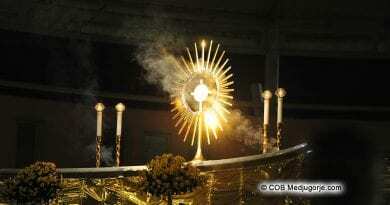 My Father, whoever does not believe without this will not even believe. then. But I also tell you this: woe to those who wait for the Sign to be converted! I seem to have told you once: that many will come, they may bow before the Sign, but in spite of everything they will not believe. Be happy not to be among them. Janko: I really thank the Lord. Is this all you can tell me up until now? Vicka: Yes. That’s enough for now. Janko: It’s fine. Thank you. Amen. I love this, hearing from all of you. I wish it would be possible for me to come there. Thank you for sharing. I was trying to work out the first place Gospa came to the 6 visionaries they see Her from roadside then she takes them to top of Pobrdo so were will the sign be then….well I love this artical interesting…I hope to go see it when it comes praise God. I hope that the Madonna will help me to visit Medjugorje one day. 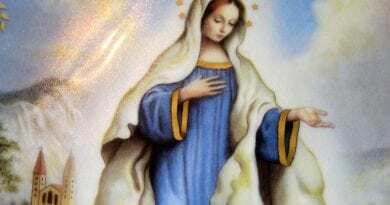 I’m lebanese and the lebanese people love and adore Virgin Mary including the moslems. We Christian’s and moslems have a special relationship with the Mother of our Lord.